Weddingstar is your trusted source for a wide range of quality party supplies. 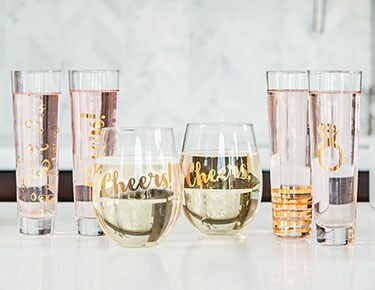 Browse our category collections to find great deals on drinkware, bar accessories, tableware, serving accessories, decorations, games and more.Drinkware and Bar AccessoriesMake sure everyone at the party has a party glass in hand for toasting the guest of honor and for sipping favorite beverages. Weddingstar specializes in high-quality drinkware inscribed with catchy, upbeat words and phrases that capture the party spirit.We follow the trends in party glassware, and our drinkware section features popular designs for champagne glasses, wine glasses, beer glasses, shot glasses, mugs and jar style glasses. Personalization makes our drinkware extra-special, which is why we give you several options for adding custom names, initials and dates. We go the extra step by providing choices for ink color and print formatting. 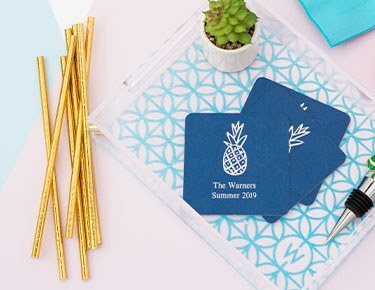 We recommend hand washing your custom glasses to preserve their uniqueness.Stock your home bar with Weddingstar personalized coasters, drinking straws in designer colors, beer growlers and fancy bottle openers. Be sure to pick up a few classy bottle stoppers for wine preservation. 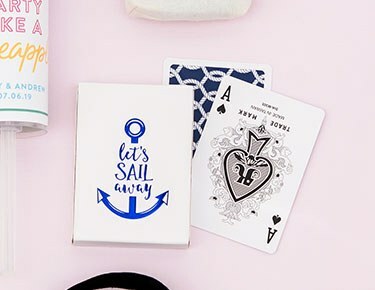 Some of these items also make great party favors.Tableware and Serving AccessoriesCome to Weddingstar to find posh tableware and serving accessories that complement any type of party atmosphere. When it's time to prepare your refreshment table, our designer style paper plates, paper cups and paper napkins offer chic visual appeal. 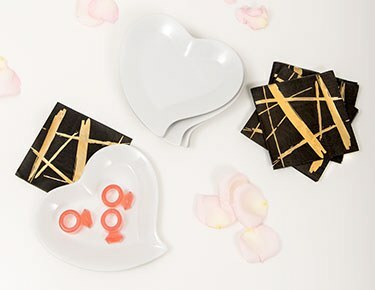 Decorative patterns include floral, geometric, marble and modern abstract.Looking for distinctive server pieces? Find vintage and contemporary style serving plates, bowls, baskets, boxes and vases for displaying candies, nuts, crackers, fruit and condiments.Decorations and GamesCreate a casual, romantic, rustic or fanciful decor using items from our fabulous decoration collection. 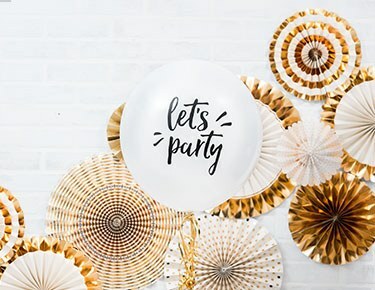 Create a fun party mood with balloons, unique inflatables, strings of garland and colorful confetti. 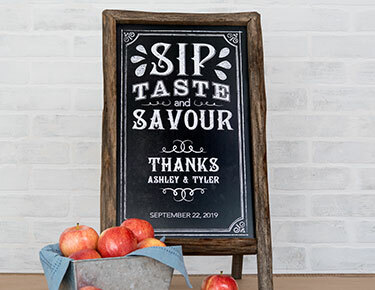 Place captivating signs around the party area to enhance an uplifting mood.Go to our party games section for games and activities that engage partygoers and make your party a memorable good time.